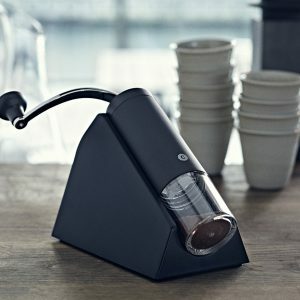 Brazil coffee grinder consists of a grinder and a base. The base holds product firmly at an ergonomic angle that makes grinding easy. 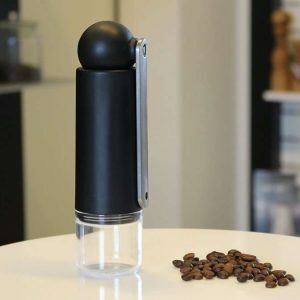 You fill the coffee beans into the container by taking off handle and lifting up the lid. Set the grinder at your preferred coarseness. Fix the clear container onto the grinder by rotating/pressing. Place product in the base - fix the pin into the hole of the base. Place handle on the product. Now grind until all beans have been used. Brew your coffee - and enjoy!